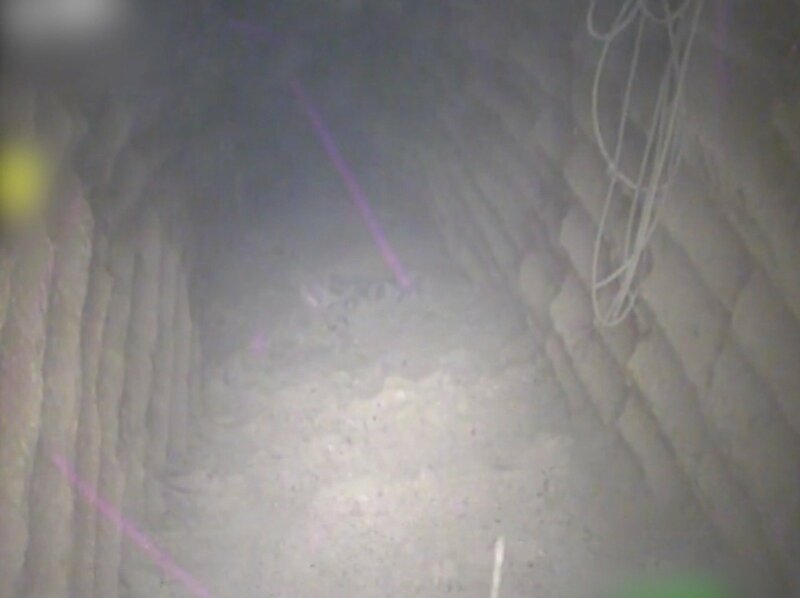 The Israeli military on Tuesday said it uncovered the “first of sure to be many” cross-border attack tunnels dug by the Lebanese Hezbollah terrorist group, this one from under a house in the Lebanese village of Kafr Kila, across from the Israeli town of Metulla. 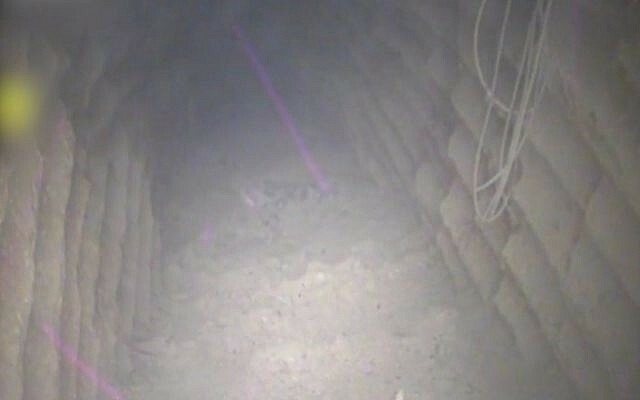 This was the first tunnel that the Israel Defense Forces has said it discovered as part of a newly launched operation — Northern Shield — to find and destroy the offensive subterranean passages from Lebanon, which the army said are not yet operational and do not present an immediate threat to Israelis. “At this time, having exposed the tunnel, IDF soldiers are conducting engineering and operational efforts before neutralizing it,” the army said in a statement. 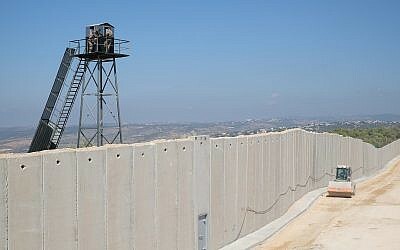 Though for now the army’s activities are limited to the Israeli side of the Blue Line — the internationally recognized armistice line that acts as a de facto border between Israel and Lebanon — IDF Spokesperson Ronen Manelis indicated that other tunnels may be destroyed within Lebanon as well. “We are prepared for all options, and the operation is only in its first day. The neutralizing of the tunnels will not necessarily take place within our territory,” he said. The Israeli military dismissed allegations that the timing of Operation Northern Shield was tied to Israeli political developments, notably the recent calls by police to indict Prime Minister Benjamin Netanyahu. “There’s no cynicism here,” Manelis said. 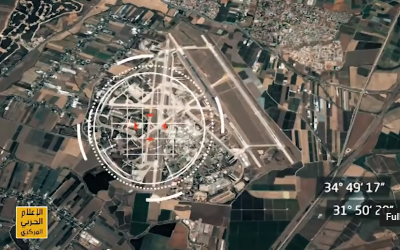 According to another IDF spokesperson Lt. Col. Jonathan Conricus, the operation was planned over the past year and a half and its launch was determined weeks ago, before the police recommendations were released. 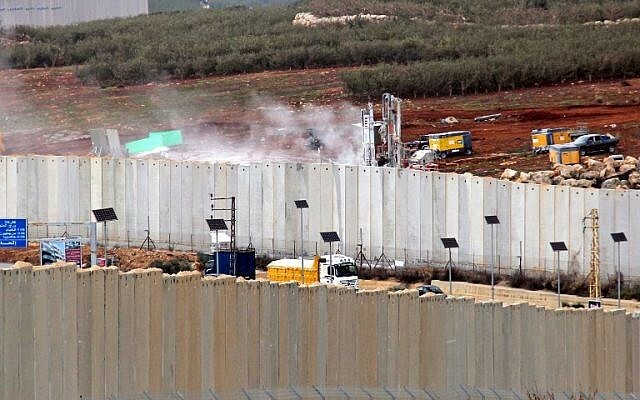 The IDF said the “terror tunnel” originated under a Lebanese home in Kafr Kila and extended some 40 meters (130 feet) into Israeli territory. The army said the tunnel was approximately 200 meters (650 feet) long, some 25 meters (80 feet) deep, and was two meters (six feet) tall by two meters (six feet) wide, significantly larger than most of the tunnels dug by the Hamas terror group in Gaza. According to the IDF, the tunnel took over two years to excavate — due to the harsh terrain under the border — and contained electrical and communication lines as well as ventilation. “Hezbollah has been using industrial equipment in order to dig these tunnels. We are beginning to assess and analyze the findings,” Conricus told reporters. The army lauded itself for finding the tunnel. According to Conricus, Hezbollah’s program to build the underground infrastructure was kept “ultra secret” within the terrorist organization. The IDF spokesman said the IDF’s effort to find and destroy Hezbollah’s tunnels was also kept on a need-to-know basis. “It was deeply compartmentalized. Only a select few who needed to know were involved in this operation,” Conricus said. An illustrative map provided by the IDF indicated that the tunnel entered Israeli territory between the communities of Metulla and Misgav Am. “The tunnel crossed into Israeli territory, but did not present an immediate threat to residents of the area,” the army said. Earlier, the military said it had found a number of tunnels that entered Israeli territory from Lebanon, but none of them were operational and therefore did not present an immediate danger to Israelis. “We’re trying to nip them in the bud,” Conricus said. To that end, the Israeli military launched Operation Northern Shield on Tuesday morning to uncover and destroy these tunnels. “We see Hezbollah’s actions as a flagrant and blatant violation of Israeli sovereignty,” he said. The military said it believed these tunnels were for offensive purposes, unlike the tunnels and underground bunkers used by Hezbollah during the 2006 Second Lebanon War, which were primarily utilized as defensive measures. “This was part of a surprise component of [Hezbollah’s] plan,” Conricus said. According to the IDF, approximately seven years ago, Hezbollah created a special forces unit — known as the Radwan Unit — specifically tasked with crossing into Israel and causing as much mayhem and destruction as possible both for the sake of the damage to Israel itself and for the “symbolism” of having troops carry out attacks inside Israel. Tuesday’s operation came as tensions on Israel’s northern border have ramped up in recent days, and hours after Prime Minister Benjamin Netanyahu traveled to Brussels for a meeting with US Secretary of State Mike Pompeo to discuss Iran and the Hezbollah tunnels. The video was posted after an alleged Israeli airstrike on Iranian and Hezbollah targets in Syria the night before. The video, with Hebrew subtitles, opened with scenes of Hezbollah fighters preparing to launch rockets and leader Hassan Nasrallah warning that the Lebanese terror group would respond to any attack on Lebanon. Israeli security chiefs were holding security assessments throughout the day Tuesday in order to deal with any possible Hezbollah reaction to the IDF operation. The Israeli military’s Arabic-language spokesperson called on Hezbollah members and Lebanese citizens to keep away from the tunnels. “You’ve been warned,” he wrote on Twitter. “The situation in UNIFIL’s area of operation remains calm,” the UNIFIL spokesperson said. Israel has long said that Hezbollah planned to conduct cross-border raids in any future conflict, with the specific goal of attacking and conquering a civilian town near the border. Northern residents have raised fears in recent years of attack tunnels being dug under the border, spurring the IDF to launch a task force to investigate the concerns in 2014. “[Hezbollah’s] main goal is to kill as many people as they can in [Israeli] villages and army bases,” a senior officer IDF officer said earlier this year, in a briefing to reporters on the Lebanese border. The IDF operation began in the predawn hours of Tuesday morning. The military declared the area around the community of Metulla a closed military zone, but gave no other special instructions to Israeli civilians in the area. Additional troops were deployed to northern Israel as a precaution against potential attacks by Hezbollah, but no reservists were called up. Conricus would not comment on whether additional air defenses were deployed to the area as a precautionary measure as well. Hezbollah is believed to have an arsenal of over 100,000 rockets and missiles. 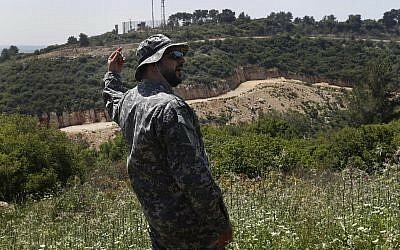 The attack tunnels were long rumored to have been dug from southern Lebanon into Israeli territory by the Iran backed terror group, but Israeli defense officials repeatedly either denied their existence or refused to discuss the matter. Conricus said he could not elaborate on the number of tunnels or how deeply they penetrated into Israel, but said such information may be provided in the future. The IDF spokesperson would not comment on how the military sought to destroy the alleged Hezbollah tunnels, but said it would use some of the techniques and technologies it employs in countering the attack tunnels dug into Israel from the Gaza Strip. In some cases, the military has used explosives to destroy tunnels in Gaza, while in others it has used concrete and other materials to seal them shut. “It will take time to neutralize and expose all the tunnels,” the IDF spokesperson said. Israeli government officials speculated that the operation would take several weeks. The spokesperson said units from the IDF Northern Command, Military Intelligence, Combat Engineering Corps and Ministry of Defense were leading Operation Northern Shield. 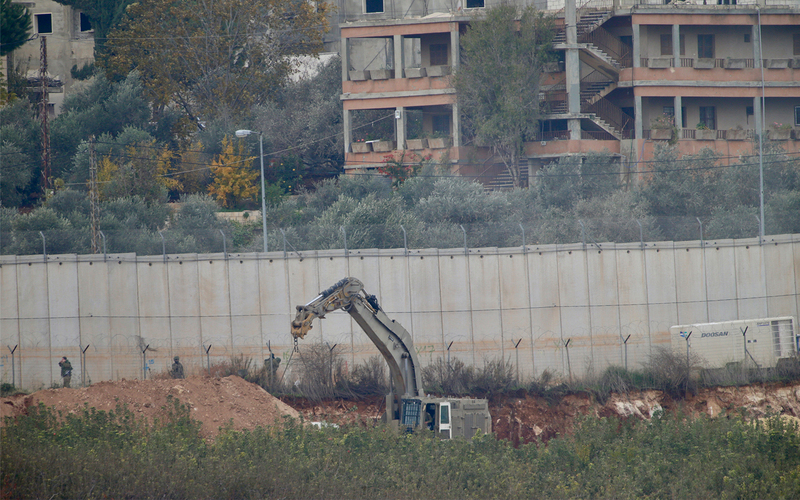 In recent years, the Israeli military and Defense Ministry have been bolstering defenses along the Israeli-Lebanese border: setting up berms, clearing vegetation, creating artificial cliffs and building nine-meter-tall concrete walls. Conricus blamed Iran for providing the funding and support for Hezbollah’s tunnel program. The Foreign Ministry later released a statement saying the money had come from cash freed up by the 2015 nuclear deal. According to the IDF, the Gaza-ruling Hamas terror group also provided Hezbollah with technical assistance, based on its extensive experience digging attack tunnels from the Strip into southern Israel. Conricus also accused the Lebanese government of failing to prevent Hezbollah from establishing a military presence in southern Lebanon, despite this being a violation of United Nations Resolution 1701, which ended the 2006 Second Lebanon War and called for all armed groups besides the Lebanese military to remain north of the country’s Litani River. The last 12 years have seen relative quiet along the frontier. However, Israeli officials have raised alarms over Iran arming Hezbollah, via Syria or directly into Lebanon, with precision missile technology. On Monday, Netanyahu had reportedly told Pompeo to pass a message to Beirut that Israel would act militarily if it did not crack down on Hezbollah. The prime minister told the US diplomat Monday said that the tunnels were “a flagrant violation of Israeli sovereignty and UN Security Council Resolution 1701,” according to a readout provided by Netanyahu’s office. Netanyahu further told Pompeo that Tehran’s aggression also needed to be confronted in Syria, Iraq, Lebanon and elsewhere.